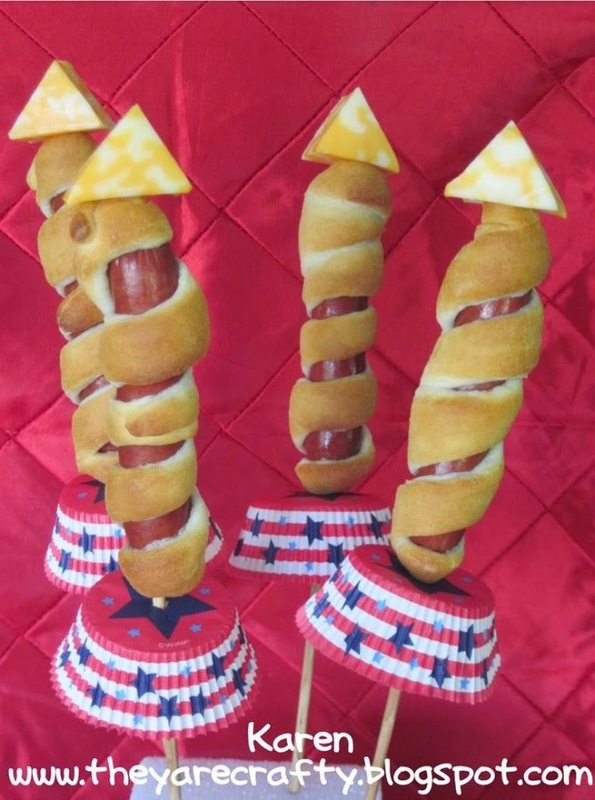 #1 Rocket Hot Dogs...how adorable are these??? My kiddos would LOVE these! 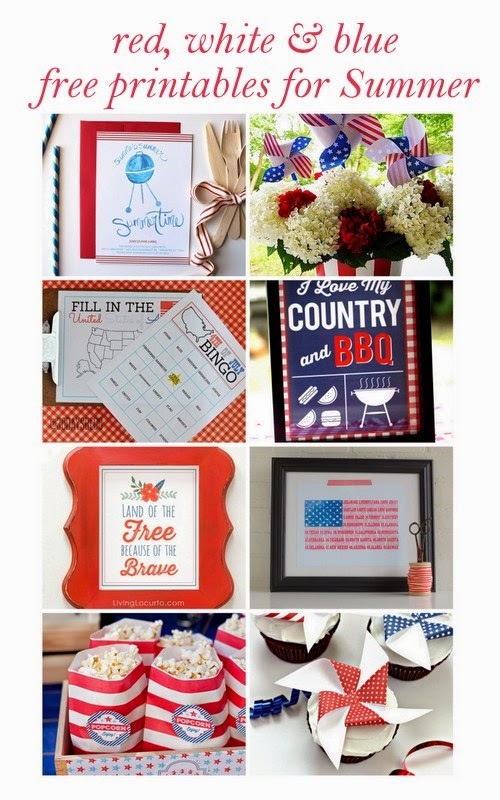 #2 Patriotic Printables....maybe you're not having a big bash, but you want to add a little decor? A printable or two would be perfect for you! These printables are DARLING!!! I found them on Pinterest and realized they aren't free!! 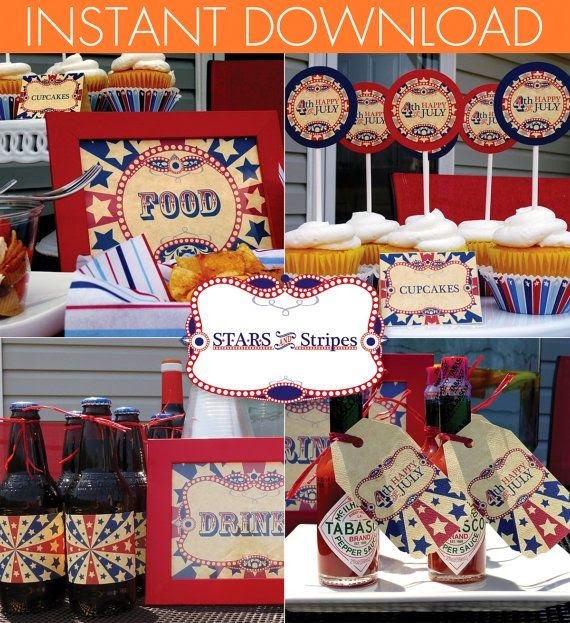 But...if you're having a party and really want some super cute labels...check these out! This party is adorable!!! 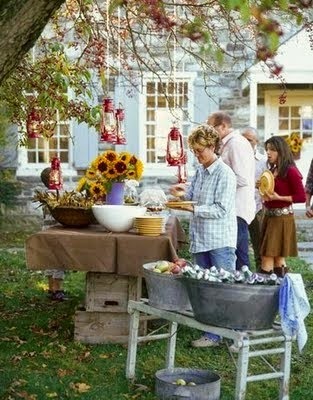 So many cute ideas for decor and food!! Check it out! #4 The CUTEST setting EVER!!! 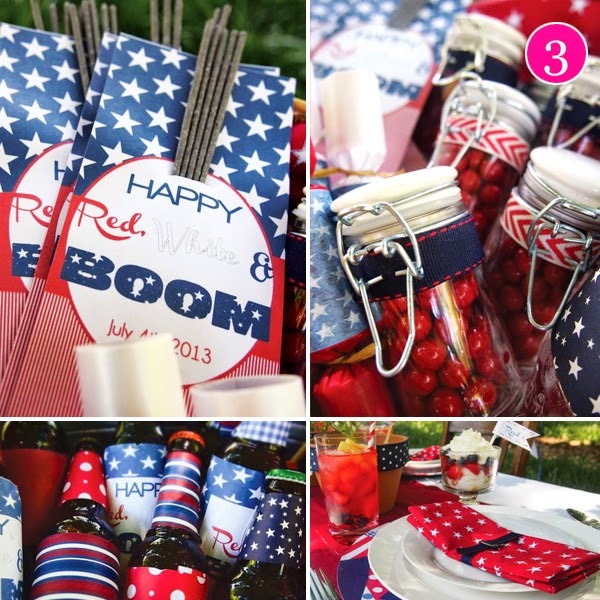 #5 Mix and Match Mama has some DELISH red, white, and blue recipes!! This cake. YUM! #6 I LOVE this idea! 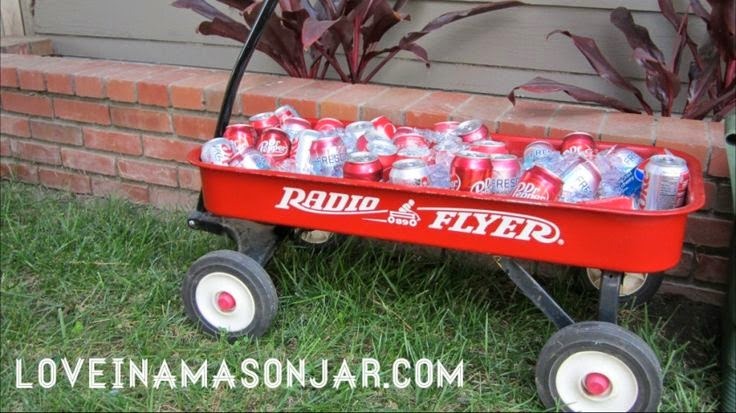 The little wagon goes right along with the red, white, and blue theme. So cute!! Woohoo! Thank you so much for including my bundt cake!! I'm ready for our Red, White and Blue fun next weekend! I can not believe it is almost July! Those rocket hot dogs are super creative but #4 is my favorite. Such a great party setting. Okay...so let's be seriously honest here...you know I'm not going to do any of these things. HOWEVER, they are all super cute and I really wish I would do them! Does that count for something? Those rocket dogs are so much fun! How is the year almost half over already???? Loved all these ideas!!! Super cute!!!!! I always love your Pinterest finds!! I need to be on there more often!! 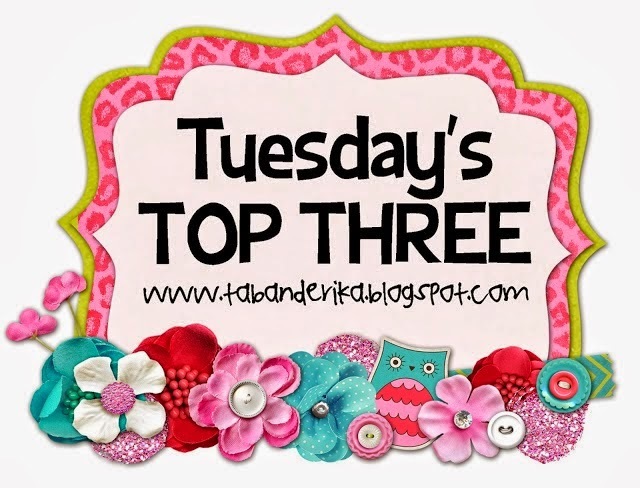 ~such a fun, exciting post! You make the 4th so festive!